Rhema introduced its Christmas display in 1982 with about 60,000 lights. 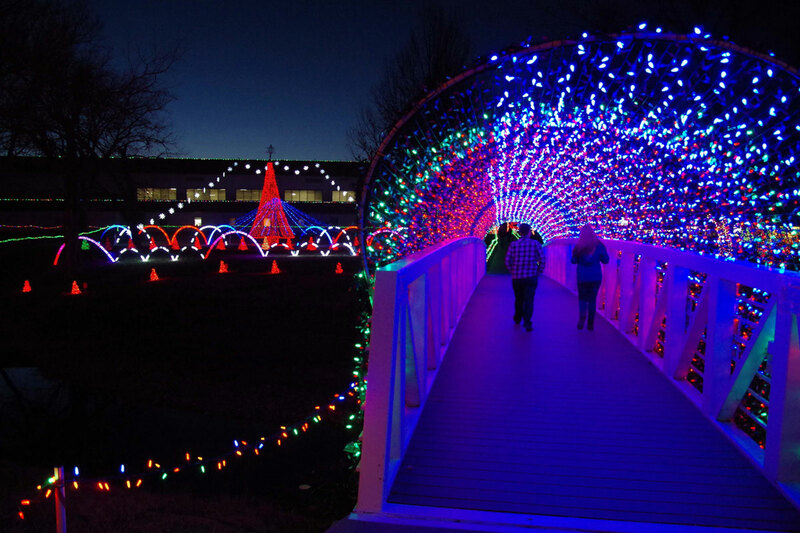 This year more than two million lights will decorate the campus starting at 6PM Thanksgiving Eve (Wednesday, November 27) through New Year’s Day. The glittering lights will shine from 5:30 to 11:30PM each night. The display is expected to draw more than 200,000 visitors from Oklahoma and surrounding states.